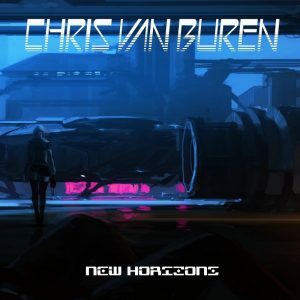 “New Horizons” is the second album by Chris Van Buren. After the debut-album Hope and Destiny this album has evolved more into his own specific style. Up-tempo tracks with new sounds and better mastering will surprise you on this second trip into space. “The New Flight (Vocoder Remix)” original track by Oblivion / G. Shlandikov. Rearrangement and Vocoders by Chris van Buren.